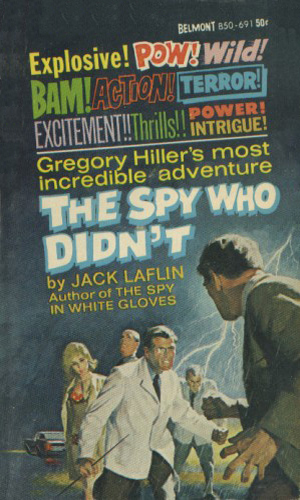 Gregory Hiller is a spy. 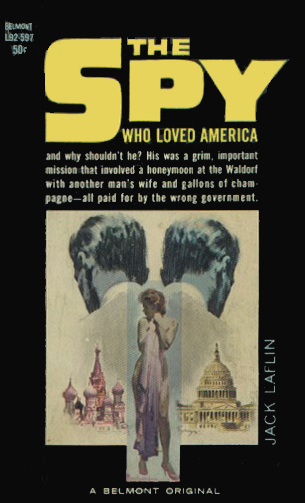 In one of the strangest twists in all of spy fiction, the CIA agent known as Gregory Hiller is really a Soviet agent named Piotr Ilyushin, born and raised in Kiev. Normally that statement would make one think of double agents but not in this case. Well, yes, actually in this case but not truly. Ilyushin is, or was, a fairly experienced Soviet KGB agent who had taken part in several operations which had worked well for his side. He had come to that Department via normal means; a graduate of Moscow University, two years of duty with the Red Army, and then selected to work for in the Intelligence community where his gift with languages was put to use. He was by no means a top agent but he was on his way to becoming one. Ilyushin also happened to bear a very close resemblance to an American Army officer. The American was involved in security for a revolutionary new ultrasonic weapon but was then sent to Russia to try and learn what the Soviets know about it. Ilyushin had plastic surgery to finish the impersonation, intense indoctrination into everything American, and the switch was made. 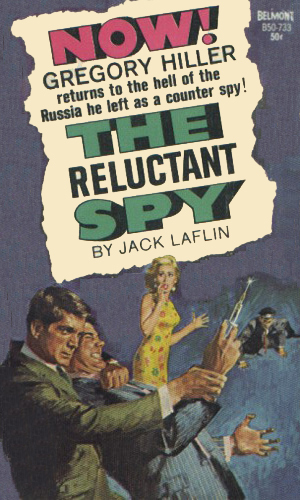 Now the Soviet agent was in the U.S. with a terrific cover. And he liked it. He liked it a lot. It took virtually no time for the man to learn all he had been taught of the evil Americans was less than honest. His conviction and dedication to duty began to falter. When he is finally found out, he is more than ready to switch sides. 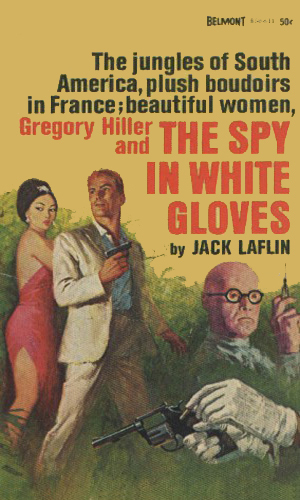 With another session of plastic surgery, the former Ilyushin is now the newly created Gregory Hiller, agent for the CIA and a man who, better than anyone, is capable of fighting the KGB, his former bosses, no matter where in the world they operate. Once he was sent to impersonate the American soldier, Ilyushin began to like his "new" country. Before he knew it, he had to decide whether to continue to spy for the Soviets or join the enemy. 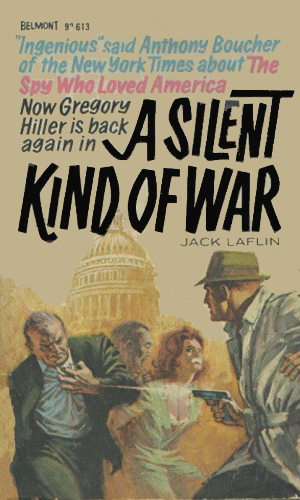 On his first official mission for the US, Gregory Hiller is sent to Hawaii to help track down those responsible for a tidal wave of racial unrest between the Japanese, Chinese, Hawaiians, and mainlanders. The man named Wylie has been a thorn in the side of the CIA, MI-6, and other Intelligence agencies for years. Now the opportunity to bring him down starts with sending Gregory Hiller to prison in Atlanta and letting him break out, but not alone. A chance encounter with a dying old man on the streets leads Gregory Hiller to the Shady Knoll Sanitarium, a former Nazi doctor, and millions in stolen gold. To find out who is behind the slim hopes of a peaceful settlement in Vietnam, Gregory Hiller must return to the land of his birth, Russia. Even with his face altered, Hiller must worry that he will be discovered and the old Ilyushin will die a second time, this time for good. In all manners except the true identity of Hiller, this series is a standard shoot-‘em-up, love-‘em-up spy thriller from the 60's. That twist, though, did make it interesting for a while, so I guess it worked. Certainly I liked the series when I found it in the early 70's and still liked it today when I reread the series. Even though Hiller has been trained to perfection by the Soviets to be an “American”, actually encountering some things in the States for the first time take him a bit by surprise, and that is what makes the series enjoyable. So Mr. Laflin obviously did something right.